Chinese clean energy distributor ENN has signed a heads of agreement with Australia’s Woodside Energy for the procurement of 1m tonnes of LNG per annum from Woodside for a period of 10 years, commencing in 2025. Woodside Energy said the volume will be sourced from Woodside’s Scarborough offshore gas field in Australia. ENN is one of the largest private clean energy distributors in China, and it commenced operations at China’s first private-owned LNG receiving and bunkering terminal in Zhoushan last year. The terminal has an LNG handling capacity of 3m year per year, and is capable of receiving the largest LNG carriers. Last October, ENN also ordered a 8,500 cu m LNG bunkering vessel at Dalian Shipbuilding Industry. “China will be the market with the highest LNG growth in the world for a long period of time in the future,” Zhang Yesheng, CEO of ENN said in an LNG conference last week. China is importing record volumes of LNG to meet its environmental targets and is currently the world’s second largest LNG importer. 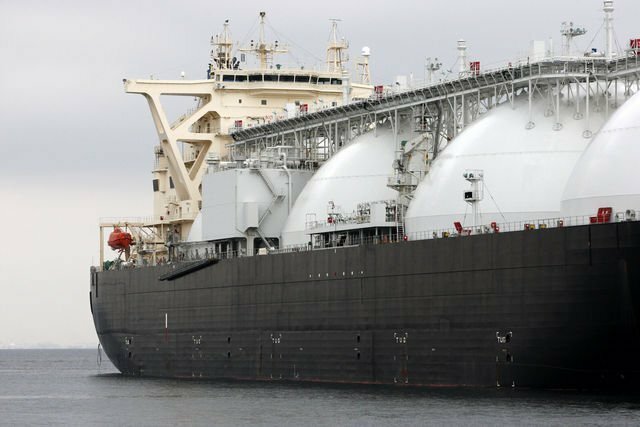 The country imported 53.7m tonnes of LNG in 2018, a year-on-year growth of 38%.